This article first appeared in the St. Louis Beacon, Dec. 3, 2013 - After several hours of discussion and debate, the Missouri Senate has voted 23-8 to approve an incentive package to encourage Boeing Co. to move the construction of its new commercial aircraft, the 777x, to St. Louis. 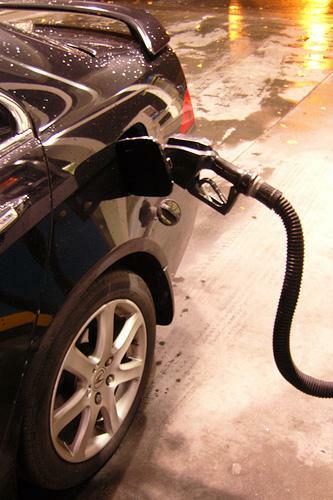 A proposed rule change that would have allowed more ethanol to be blended into gasoline sold in Missouri has been shot down by a joint legislative committee. 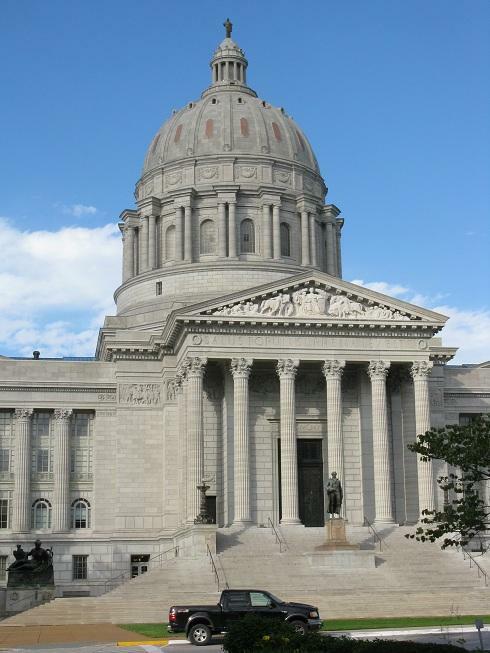 Earlier this week, the Missouri Department of Agriculture asked the Joint Committee on Administrative Rules to allow the change, saying that E-15 is both safe and good for the state's economy. But State Senator and committee chair Eric Schmitt (R, Glendale) says the proposal would have violated state law. This article first appeared in the St. Louis Beacon: Amid a string of controversies hitting St. Louis County Executive Charlie Dooley’s administration, area Republicans so far have failed to come up with a well-known candidate to challenge Dooley’s bid for re-election next year. This article originally appeared in the St. Louis Beacon: Missouri Gov. Jay Nixon is once again traveling the state in his continued efforts to defend his veto of the tax cut bill known as HB253. He made two stops Monday in the St. Louis area. In Kirkwood, however, two prominent Republicans showed up to dispute the governor’s arguments: state Sen. Eric Schmitt, R-Glendale, and state Rep. Rick Stream, R-Kirkwood. Just weeks away from its implementation, the Kirkwood School District held an informational meeting Tuesday night to answer questions from parents and residents about the school transfer process. The basic message from speakers was this: The system is flawed, the law is broken, there wasn’t nearly enough planning, the legislature is dysfunctional, and what happens if we get sued? But we need to do everything in our power to make sure the incoming students get the best possible education we can provide. This article first appeared in the St. Louis Beacon: Missouri Attorney General Chris Koster is keeping up his financial momentum for his acknowledged bid for governor in 2016. His latest campaign-finance report shows that he already has banked $781,410 – with two-thirds of it raised just since April 1. An interim committee kicked off its statewide tour in St. Louis County on Tuesday, gathering small business owners and other citizens to voice their ideas for ways to shrink Missouri's government. 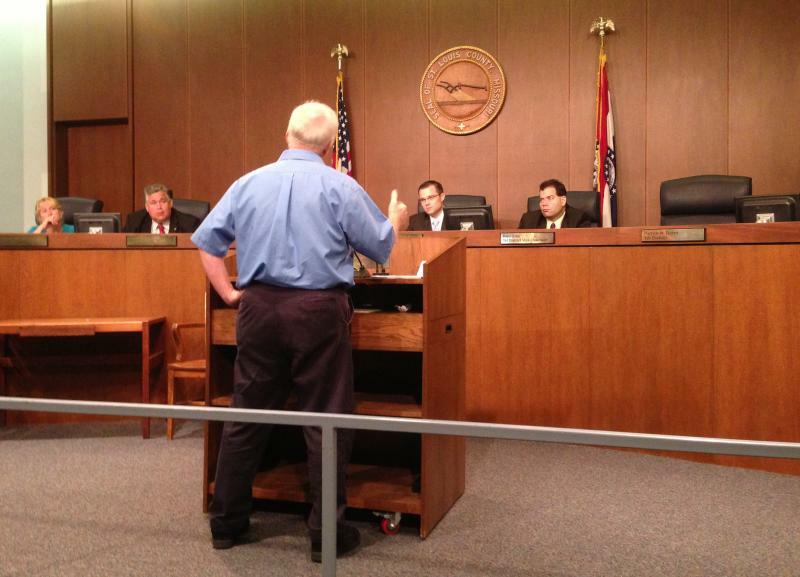 The "Missouri House Committee on Downsizing State Government" is chaired by Rep. Paul Curtman (R-Franklin County). This article first appeared in the St. Louis Beacon: Former state Sen. Jason Crowell, a Cape Girardeau Republican, was -- and still is -- one of the sharpest critics of the state's historic preservation tax credit program. In 2011, he compared the program to when his parents gave him a credit card "only for emergencies." On this week's episode: Missouri Senator Eric Schmitt (R-Glendale) joins as a guest to have a "free-wheeling and fun conversation" on the income tax bill the governor vetoed. Then we run through some news: the auditor's finding on the Hancock Amendment, as well as the Jefferson-Jackson Dinner. Next week, Democratic Senator Jamilah Nasheed will join the program. Governor Jay Nixon (D) Wednesday signed eight bills into law that were passed this year by Missouri lawmakers. 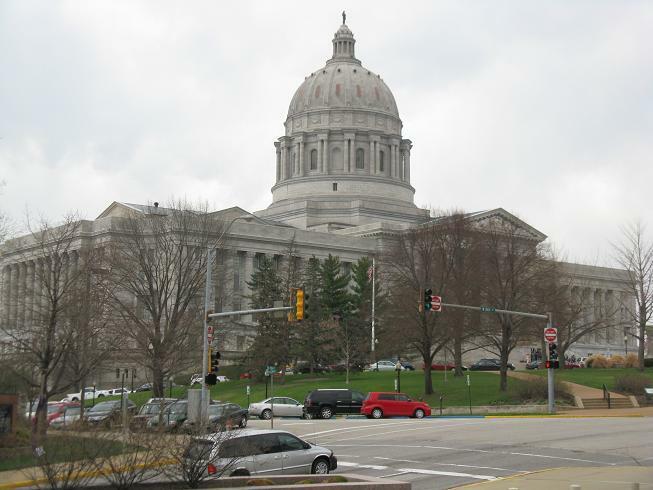 Legislation to redefine the relationship between liquor distributors, wholesalers and retailers has stalled in the Missouri Senate. 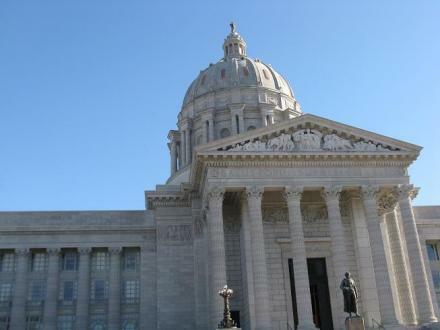 This article first appeared in the St. Louis Beacon: The Missouri House approved wide-reaching legislation cutting personal income, corporate and business taxes, sending the measure to Gov. Jay Nixon for consideration. The House passed state Sen. Eric Schmitt's legislation, SB 253, Thursday by a vote of 103-51. That vote came a day after the Missouri Senate passed the bill by a vote of 24-9 and sent it to the House. Now Nixon will have to consider whether to sign or veto the bill. Two tax credit bills passed by Missouri lawmakers have become the first ones signed into law this year by Governor Jay Nixon (D). Legislation that would provide tax breaks for amateur sporting events held in Missouri has become the first one sent to Governor Jay Nixon (D) during the 2013 regular session. The incentives would equal about $5 per ticket sold, and they would be capped at $3 million a year. It was sponsored by State Senator Eric Schmitt (R, Glendale). Legislation that would allow home brewers to bring home-made beer to festivals has passed the Missouri Senate. 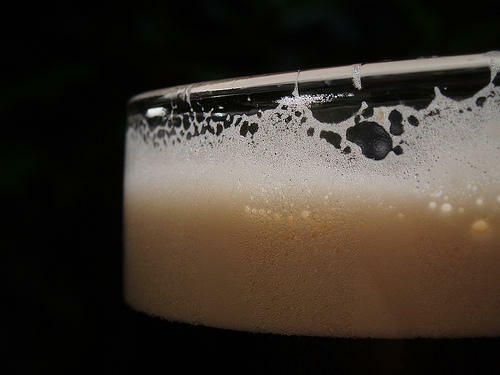 Under Senate Bill 114, home-brewers could give away free samples to guests at beer festivals and tastings, but would not be allowed to sell them. 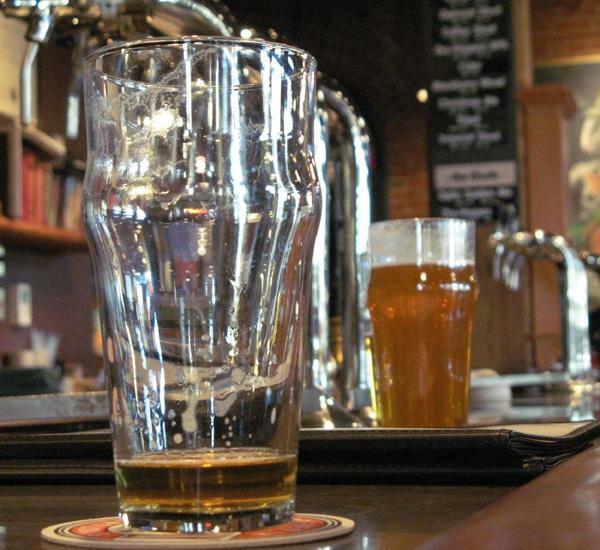 The sponsor, State Senator Eric Schmitt (R, Glendale), says an emergency clause was added so that home brewers can take part in this year’s Brewer’s Heritage Festival in St. Louis. This article first appeared in the St. Louis Beacon: State Sen. Eric Schmitt, R-Glendale, expects to be in a good mood this weekend, now that the core of his proposal to cut state business taxes is part of a broader bill that has won first round approval in the state Senate. 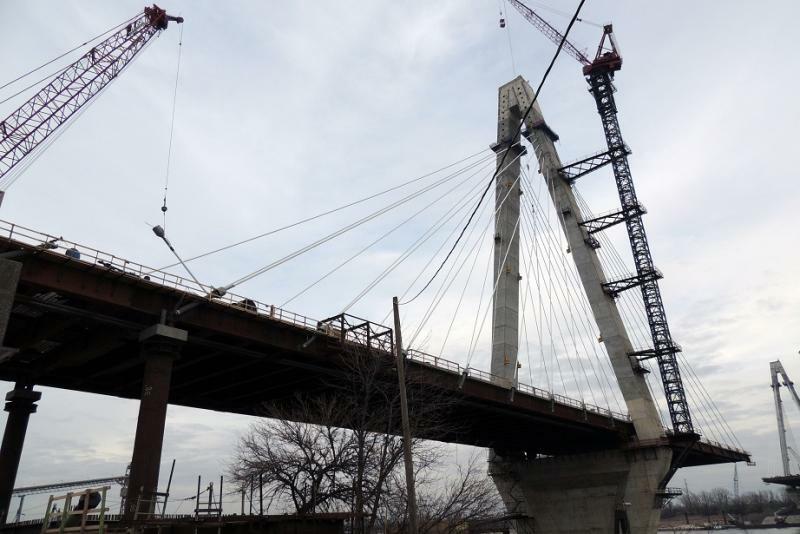 “It’s a pretty sweeping reform of the state tax code,’’ Schmitt said, adding that he believes Missouri is on track to see the biggest income tax changes since 1929. It appears so far that the Missouri Senate may no longer be the place where tax credits go to die. In years past, proposed incentives for such things as historic preservation or amateur sporting events would have faced a filibuster threat from a group of fiscally conservative Republicans in the Senate. But the leaders of that group are gone due to term limits, and perhaps that’s why this year’s amateur sports incentives bill was allowed to receive a Senate floor vote. State Senator Will Kraus (R, Lee’s Summit) says the atmosphere has changed. This article first appeared in the St. Louis Beacon, Jan. 19, 2012 - Their electoral battlefields may once again be in flux, but incumbent state senators in St. Louis County are building up financial firewalls in their bids for re-election.